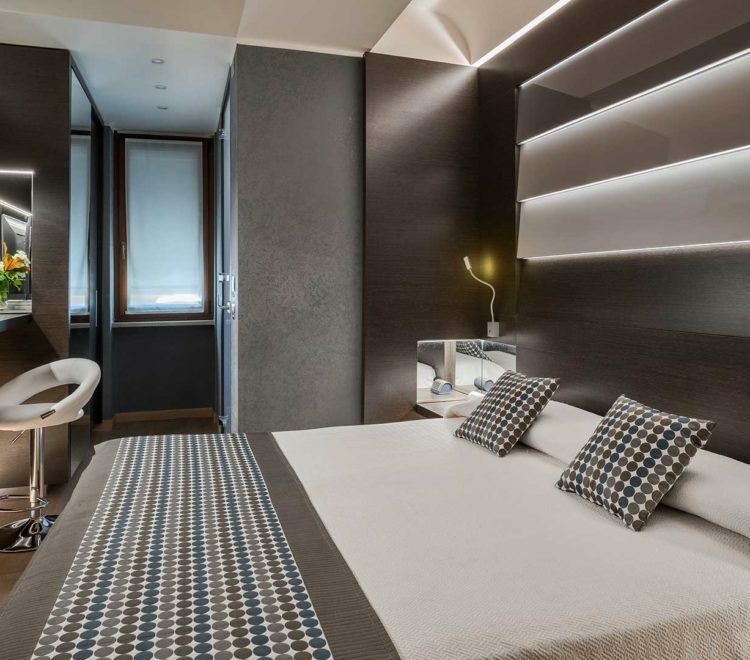 Hotel in the vicinity of the Verona Arena, the Hotel Mastino is situated in Corso Porta Nuova, near the splendid Piazza Bra Verona, right in the city’s historic center, in an area that is easily accessible by car. Just a short distance from the hotel, discover the wonders of Verona at your own pace, conveniently touring one of Europe’s most beautiful cities on foot, including its historic palaces and monuments, and the spectacular Arena – the famous Roman amphitheater. Don’t miss out on a visit to Piazza delle Erbe, and Juliet’s courtyard with the famous balcony from which she looked out, or the Roman amphitheater and the surroundings of Verona, whose hilly rolling countryside is home to traditional regional products, above all its truly superb wines. Verona is also home to numerous businesses, and the Trade Fair exhibition center which every year hosts international shows, bringing to the city operators from the world of industry and crafts. Porta Nuova train station is located just over ten minutes from the hotel on foot, and a mere two minutes by taxi. Alternatively, take the bus departing from sidewalk A heading for the city center, and get down after two stops, in the vicinity of the hotel. “Valerio Catullo” airport at Villafranca is about 13 km from the city center. In addition to the airport transfer, which can be booked when making your room reservation, and taxi service, we recommend you make use of of the Aerobus (departures every 20 minutes) for Porta Nuova station. From here, follow the directions under ‘By train’.